If you happened to stop some Saturday evening at the old gas station just north of the Power Plant in North Central Oklahoma back in the late 70’s around supper time, you might run into a group of grubby men that looked like they had fallen into a coal bin. They might look like they had been swimming in a batch of coal dust and sweat. Dark hair greasy with the grime of the day. If you took a closer look and observed their handkerchief after it had been used, you would have seen the black slime soaking through. The pores in their skin darkened by the black dust they had been wading through. 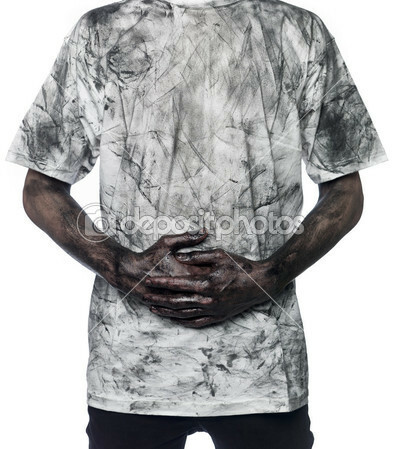 If you had run across a gang of shabbily dressed grubby men like this, then you would have just witnessed a group of Power Plant Men seeking a cool one on their way home after a full day of coal clean-up. Be assured, they drove with their windows down in the 100 degree heat. It helped dry the sweat that had soaked them from the top of their head to their soles of their feet. You may feel a little intimidated by this bunch of seemingly hoodlums carrying six packs of Coors out of the store that looked like nothing more than a shack. You might think that the snickers that you hear below their breath is because they are laughing at you. You might think that it would be safer to stay in your car with the doors locked and the windows rolled up until this gang of rovers left, even though the circumference of their upper arms indicated to you that it wouldn’t take much effort for one of these brutes to shatter your windshield if they had a mind to. If per-say you happened to make the mistake of saying something neutral to them, such as “good evening”, you would be surprised by their reply. One might grin real big and spit off to one side (maybe in the reverse order…. spit first and then grin). Another might scratch the top of his head and lift his hat… (oh. That’s backward too) while at the same time looking over your vehicle to see what kind of tires are on it, or what kind of upholstery it has. Another might act as if they can’t hear you and just ignore your “good evening”. This would have been a real possibility back during the summer of 1979 or 1980 at this one particular power plant. You may have even noticed a light blue Volkswagen Sirocco with a young guy sitting in the back seat waiting for a couple of lugs to return with their six packs under their arms for the trip back to Stillwater where they had left 12 hours earlier. That young guy in the back of the car…. that would have been me. Observing the parade of worn Power Plant Men on their way home after a day of coal cleanup. I wrote about days like this in a post called: “Spending Long Weekends with Power Plant Men Shoveling Coal“. I met many of the Power Plant Men those first few summers when I worked as a Summer Help at the plant. I didn’t really get to know them until I had worked as a full time employee for many years. I wasn’t like this group of Power Plant Men that seemed like a bunch of misfits that somehow stumbled into performing great feats almost as if it was by accident. At first I figured that most of them were just really lucky. Later I learned that these lumps of coal were really diamonds in disguise. Today, looking back I realize that each of the True Power Plant Men were some of the wisest, kindest, and most caring people I would ever know. I guess I ran across this the first summer as a summer help when people would offer to do things for me for no reason other than they could. When this would happen I would be suspicious at first that either a joke was being played on me, or someone was going to want to use this as leverage for something later. This thought was short-lived, as all I had to do was look in their eyes to see their sincerity. I had grown up looking into the eyes of deceit. I could tell when I was being snookered. It didn’t take long to find that the True Power Plant Men really did care for my well-being, even when my well-being seemed to being doing just fine. I suppose i could go down a list of times where power plant men did something nice for me. I probably would just be describing a regular day at work with this bunch of grubby guys in tee shirts and jeans and work boots. This post would become long and monotonous pretty fast. So, let me just focus on one example that illustrates what I’m talking about. Back during the late 70’s and early 80’s there were a few medical miracles that had surfaced that were said to cure cancer. One example of this was Vitamin B-17. It is found in fruit seeds. People found that when taken in regular doses, cancer can be prevented and even cured. Of course, the person seeking this cure can’t wait until they are on their deathbed when they try to find a sudden cure that is going to pull them out of the jaws of death. What makes B-17 probably the most easily accessible cure for cancer is how fast the Cancer industry, that is, the Pharmaceutical and the AMA quickly tried to ban anything with enough vitamin B-17 in it from the market. They didn’t call it Vitamin B-17. They called it “Laetrile”. If there had been nothing to it, then they would have treated it like every other snake oil remedy that came around. They would have ignored it. People in the United States that wanted to be treated with Vitamin B-17 for their cancer had to go to Mexico. They were happy to treat you down there. Raw apricot seeds were banned from the stores because they are a good source for this vitamin. Well. They couldn’t really ban apple seeds. I think people knew many years ago that eating an apple each day would keep the doctor away. As a child long before the word “Laetrile” had hit the news wire, I remember some people that would eat the entire apple, only leaving the stem. They insisted that the best stuff was in the apple seeds. Maybe Johnny Appleseed was on a mission from God when he went across the country planting apple orchards. The argument was that Laetrile (Vitamin B17) contained Cyanide and that it could possibly be released and become toxic in the body. — This is the same argument that those in favor of using Laetrile were making. They believe that the cyanide is released by toxins emitted by cancer cells, and in this way, the cyanide actually targets the cancer cells. By the way, the chemical symbol for Cyanide is: CN. CN is Cyanide. You can see it in the middle of the chemical diagram. Only this isn’t Laetrile (vitamin B17). This is the chemical structure of Vitamin B12. Anyway. This was also before there was anything like the Internet (because…. Al Gore hadn’t invented it yet). So, in order to hear the alternate viewpoint than the governments, you had to read newspapers that were “on the fring”. Anyway, during that time around 1980 after the Laetrile ban, people were growing suspicious of the cancer doctors and whether they really cared to cure their patients or just grab their money while they were on their way down. The argument was that one person in California had died from apparently being poisoned by cyanide after taking Laetrile. Never mind that he was on his deathbed already from cancer and had only weeks to live. Today is a different story, where there are a lot of homeopathic methods for fighting cancer. Laetrile is still banned I think, but who is going to ban the apple seed? — Oh. I guess they pick them before they have seeds these days, and where they used to press the entire apple to make apple cider, they may core them now first…. I’m sure it is because it makes the cider taste better…. Don’t you think? Or is it the added sugar…. maybe. Toward the end of my first summer as a summer help in 1979 I worked for two weeks with Aubrey Cargill and Ben Hutchinson clearing out driftwood from the miles of dikes that had been built on the man-made lake to route the water around the lake from the discharge to the intake so it had time to cool. I wrote about this in the post “Power Plant Painting Lessons with Aubrey Cargill“. Ben and Aubrey were best friends. They never told me that, it was just like they were two peas in a pod. Where one went, the other was always right by their side. Well. 10 years after we had been tossing driftwood up the dikes into the dump truck, Aubrey had early retired from plant life, leaving his best buddy to fend for himself. Ben had become a foreman. I never heard a complaint about Ben as a foreman, but then, I wasn’t listening, so if someone had told me something negative, I’m sure it would have went in one ear and out the other and something inside me would have marked that person on my list of “Not True Power Plant Men”. Anyway. After trying all the regular cures, Ben was told that there was nothing left for him to do but to lay down and die. He was given so many months to live and sent home. At this time there was a doctor in Athens Greece named Dr. Alivazatos that was reported to be curing cancer patients at a rate of 60%. He would say that the 40% that die come to him too late to be cured. Otherwise he would be able to cure them all. He had some special treatment that he was willing to share with the world, but he wanted to do it in a way where it was assured that he would receive credit for it. Not understanding the medical system in the United States, he said that he was waiting to be invited to the United States by the Medical community where he would tell them all how to do what he was doing. When the Cancer doctors had drained Ben’s funds and sent him home to die, that was when the True Power Plant Men showed their true colors. They had heard about this doctor performing miracle cancer cures in Athens Greece and they were determined that Ben was not going to go down without a fight. During the winter, while an overhaul was going on at our plant, barbecues were setup to raise money. Donations were taken. Requests went out to the other plants for help. I don’t recall the exact amount that was raised. But I believe it was well over $30,000.00. Ben was sent to Athens for treatment. 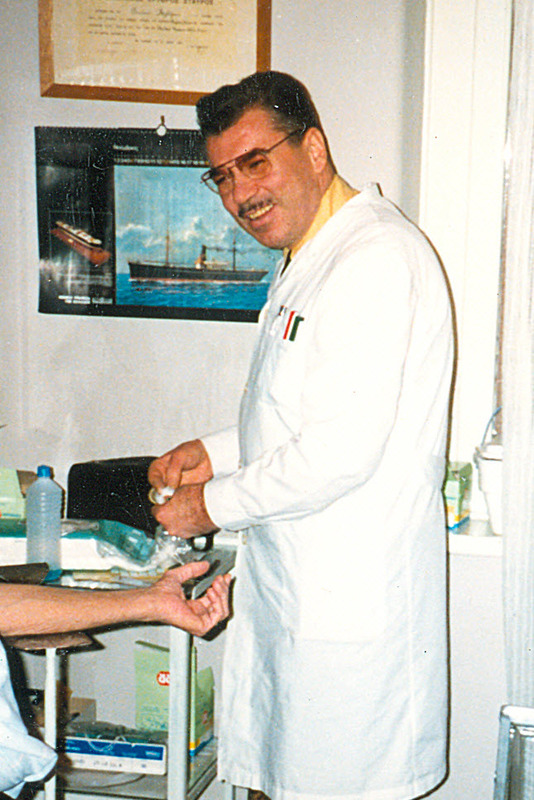 He was sent to Dr. Alivarazatos. Ben arrived too late. After his month of treatments there, he was sent home in March 1990, somewhat better than he had left, but still his cancer was too far gone by the time he had made it to the doctor’s doorstep, and by June, Ben succumbed to the cancer and died on the 13th of June. — A personal note. 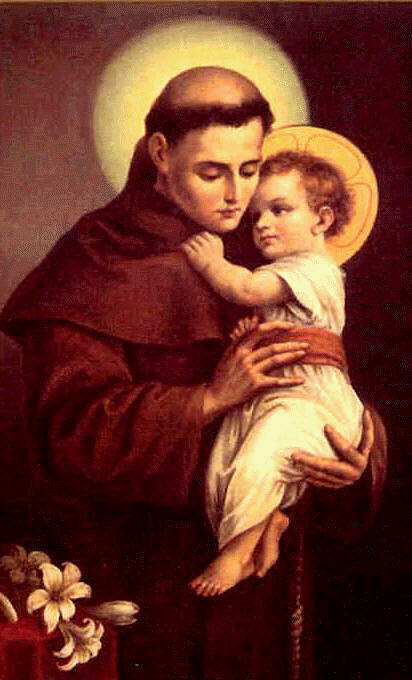 June 13 is the feast day for St. Anthony. He is my patron saint and has been a personal friend of mine since my childhood. I like to picture St. Anthony there with Ben when he died, taking his hand and leading him up to the pearly gates where St. Peter was standing… Without looking up, St. Anthony says…. “A True Power Plant Man…” St. Peter nods and passes him through without checking the roster. Once inside, an angel hands Ben his clean white robe. Ben puts it on, and by the time he pulls it over his head and straightens it out, it is all stained with black coal dust. The angel looks a little confused and St. Anthony, standing beside him in his brown robe with the bald spot on the top of his head says, “Power Plant Man….” The angel nods in understanding….. — end of personal note. The Power Plant Men didn’t sit around and complain that they threw away good money to send Ben to Greece. They knew the odds were thin when they sent him. It didn’t matter to them. True Power Plant Men cherish Life. They live from day-to-day taking risks in a dangerous situation, yet they are safe, not for themselves, but for their family and friends. One extra day of life for Ben was well worth it. This example of Ben was not the exception, it was the norm. Whenever a Power Plant Man was in need, there were 100 Power Plant Men there to help them. Never hesitating. I would say that they love each other as if they were all part of the same family. Actually, I have no doubt about it. Beautiful story, thank you for sharing it. Takes me back to the days when you did for people, because that is what people do. It is just a pity that only a few of us are raising our kids in the old way, nowadays. True Power Plant Men sound a lot like the Feed Mill Men that I was raised by and with. Daddy was a feed mill worker from 17 to 56 until his emphysema got so bad he had to retire. All three brothers and one of my sisters went on to work there too for a decade or more until daddy convinced them they weren’t safe there. Again, thanks for a return to a more precious time of life. Thank you for re-posting this story. I enjoyed reading it. This world could use more good men like you.